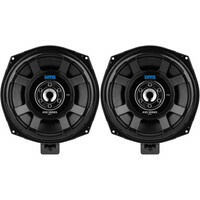 The GRS B100-4 4" BMW replacement full-range driver pair is the perfect solution for dealerships, installers, and repair shops. 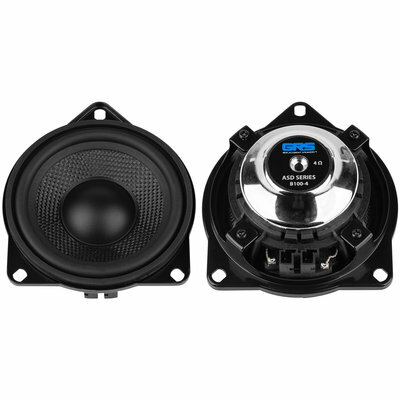 The unique swappable mounting flange allows this speaker to replace virtually all 4" drivers used in late model BMW vehicles taking all the guesswork out of which driver to order or stock for factory replacements and upgrades. Take all the guesswork out of which speaker to use when replacing BMW 4" factory speakers with the GRS B100-4 glass fiber speaker pair. 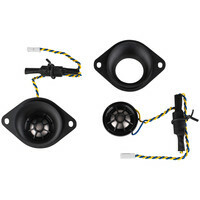 Factory 4" speakers in most BMW vehicles come is a variety of mounting flange configurations, making selecting the proper replacement a difficult task, but thanks to the exclusive swappable mounting flange on the B100-4 this item can replace nearly all 4" drivers used in late model BMW vehicles (Please check the GRS B100 BMW Compatibility Chart for your vehicle). 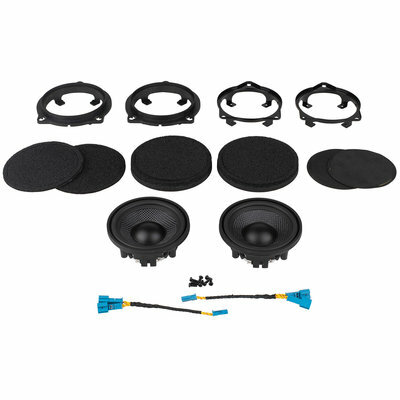 Just select the proper mounting flange and gaskets (all included), attach the flange to the driver with four screws, and then drop the speaker into the factory mount for a perfect fit. In addition, with the included wiring harness the B100-4 are true plug-n-play, no need to cut the factory wiring harness or strip wires. 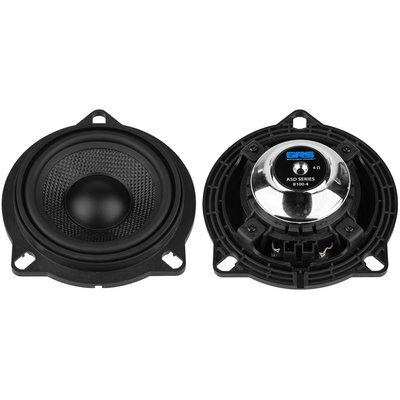 Thanks to the GRS B100-4 there is no reason to keep three different drivers in stock or wait for months to get your customers the proper replacements for their vehicle making these the ultimate replacement/upgrade speakers for late model BMW vehicles. 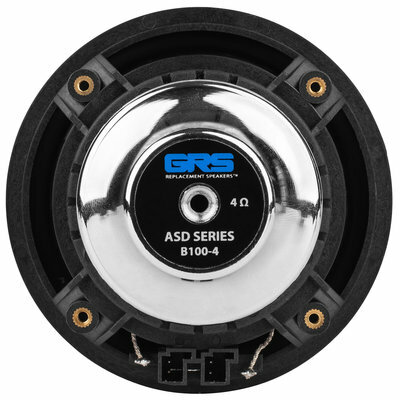 The GRS B100-4 is more than just a unique mounting flange; the highest standards have been applied to every aspect of these speakers. 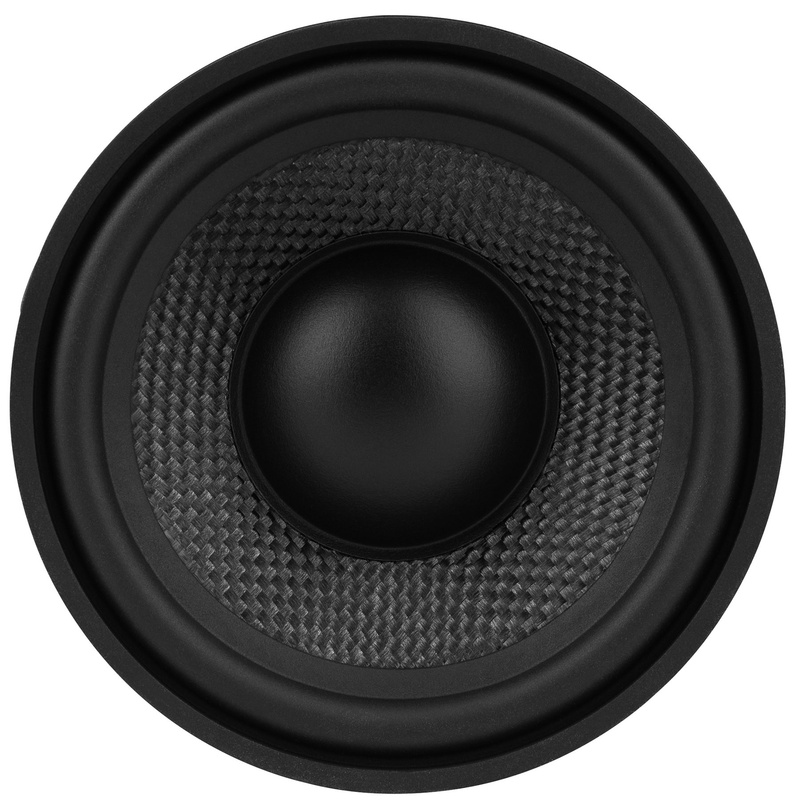 The woven glass fiber cone, poly dust cap, and rubber surround are designed to keep resonances under control and provide natural response while resisting the extreme temperatures, moisture, and direct UV exposure that car speakers are exposed to. 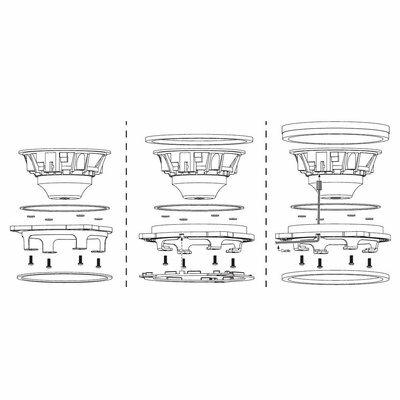 Venting behind the spider and through the motor assembly circulates air around the voice coil allowing high power handling and keeping compression low. 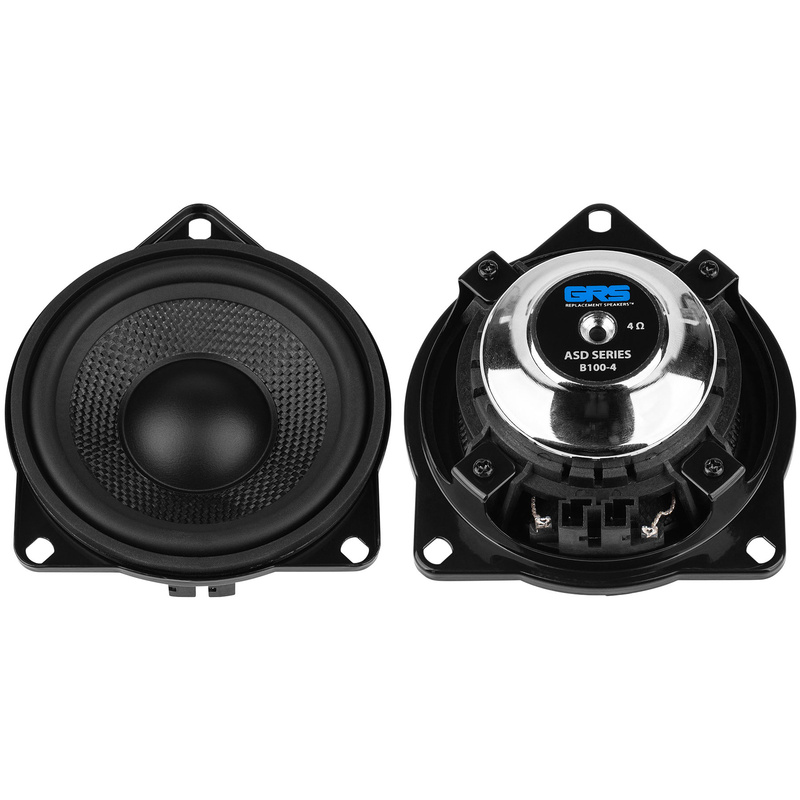 The motor consists of a powerful neodymium magnet that is surrounded by a generous piece of polished steel, which provides excellent heat dissipation required for long listening sessions during road trips. 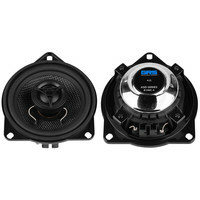 GRS B100-4 ASD Series 4"